"People have always been fascinated by magic," says author, teacher, and magician Allan Kronzek. 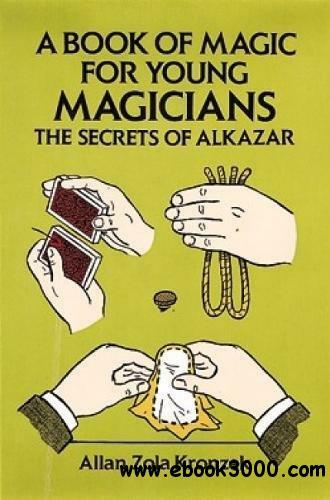 In this entertaining how-to book - prepared especially for young, aspiring magicians - he shows how to learn and perfect mystifying feats of illusion that will baffle any audience. Simple directions and clearly drawn diagrams enable beginners to master a host of dazzling deceptions: passing objects through solid barriers, cutting and restoring a length of rope, card tricks featuring the "magnetic touch," and many more. Young magicians will also find complete directions for performing "The Spirit of Isis" - a dramatic tour de force in which one figure seemingly becomes another. Step-by-step instructions demonstrate each step of the learning process - from understanding the effect to be achieved to successfully performing the trick itself. Mr. Kronzek, a professional magician, provides numerous helpful hints and secrets of the trade, including how to misdirect the audience's attention, practicing deception while handling props and equipment and how to develop a natural approach and smooth line of "patter."